Department stores like Bergdorft Goodman, Bloomingdale’s, Nordstrom or Saks Fifth Avenue are rolling out their holiday beauty and beauty deals early. Here’s the round-up of top beauty gift with purchase and deals from Bergdorft Goodman, Bloomingdales, Nordstrom, Saks Fifth Avenue, Target, and Amazon. NORDSTROM (NEW) GIFT 1: With your $85 women’s or home fragrance and candle purchase, you’ll receive 11 samples from diptyque, Le Labo, YSL and more top brands. A $33 value. (2d)(HOT) Diptyque Carousel & Candle Set $125. Diptyque advent calendar 2018 $425. See all Nordstrom gift with purchase. 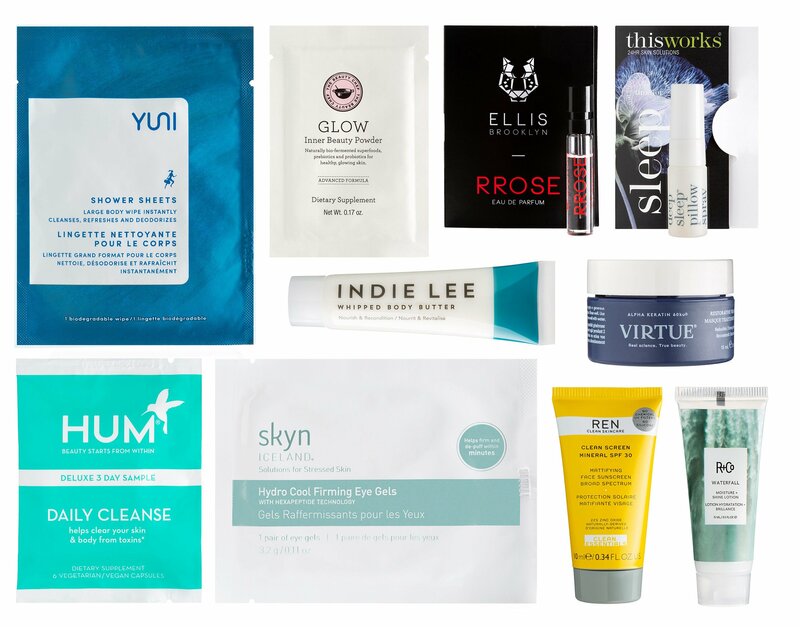 Choose 3 Free Samples with any beauty Purchase no minimum at checkout. See Nordstrom Beauty Sale Page here. Nordstrom beauty & fragrance new arrivals here. Bloomingdales (NEW)(HOT) GIFT 1: Receive a mini Lip Color in True Coral with any Tom Ford beauty purchase. (NEW) GIFT 2: Plus, receive a mini Black Orchid Eau de Parfum deluxe sample (0.13 oz.) with any Tom Ford beauty purchase. Tom Ford beauty starts from $25. (NEW)(HOT) GIFT 1: Receive deluxe samples of The Concentrate, The Regenerating Serum and The Moisturizing Soft Cream with any $200 La Mer purchase. (NEW) GIFT 2: Plus, receive deluxe samples of The Lifting Contour Serum and The Intensive Revitalizing Mask with any $350 La Mer purchase. (NEW) See all beauty advent calendars 2018 including Space NK advent calendar, Clarins advent calendar and more. (NEW) Loyallists get a $25 Reward Card (that’s 5,000 Power Points) for every $100 you spend in Beauty. Offer valid on regular priced items. Offer valid online November 5 – November 11, 2018 and in-store November 6 – November 11, 2018. (NEW) Take $25 off every $100 you spend on a great selection of regular price items marked with “TAKE $25 OFF $100 WITH CODE: PRIVATE”. Offer valid online November 5-11. (4d) Diptyque holiday collection 2018. (HOT( Receive your choice of 5 samples with any $50 beauty purchase. Saks Fifth Avenue (NEW) Through 12/1, Receive cashmere tech gloves with any full price coat purchase. Use code COATS2 at checkout. (NEW) Through 11/18, Receive a Viking + Aventus For Her Duo* with any $25 Beauty or Fragrance purchase. Use code CREED5 at checkout. (NEW) Through 11/26, Receive The Eye Concentrate, Crème de la Mer Moisturizing Cream, The Renewal Oil, The Concentrate and a Pouch* with any $300 La Mer purchase. Use code LAMER343 at checkout. La Mer 12 Day of Radiance Advent Calendar or La mer Advent Calendar $400 or direct from La Mer. Receive for a limited time only, your 7-piece gift with any $75 Lancôme purchase, worth $179.12 of: Gold Cosmetic Bag, Blush Subtil Delicate Oil-Free Powder Blush in 345 Rose Fresque (0.088 oz), Absolue Premium Bx SPF 15 Day Cream to replenish and rejuvenate (0.5 oz), Absolue Premium Bx Night Cream to replenish and rejuvenate (0.5 oz), L’absolu Rouge Hydrating & Shaping Lipcolor (Full Size) in 391 Exotic Orchid (0.14 oz), Absolue Precious Oil Nourishing Luminous Oil (0.16 oz) and Eau Micellaire Douceur Cleansing Micellar Water (1.7 oz)* with any $75 Lancome purchase. Quantities are limited, customize yours now! Use code LANCME8A at checkout, ends 11/11. Bergdorf Goodman (NEW) offers 11% off all beauty purchase use coupon code BGMOON, exclusions apply. (2d) They have $100 Gift Card with $500 Beauty Purchase use code “BEAUTY”. When you use Bergdorf Goodman or Neiman Marcus credit card only. Charlotte’s Beauty Universe Holiday Gift Set or Charlotte Tilubury Advent Calendar 2018 $200. Target (NEW) offers four new Target Beauty Holiday 2018! Shu Uemura (NEW) offers 25% off on all orders and 11-pc gift on orders $50+ use coupon code MOON11. Ends 11/11. (NEW) Enjoy FREE shipping on the holiday collection. use code SHIPCHOCO at checkout. Amazon (NEW)(HOT) introduces The Celebrity Store – shop your favorite looks. (NEW) Early Black Friday Deals at Amazon. Amazon has announced their Top 100 Toys 2018.